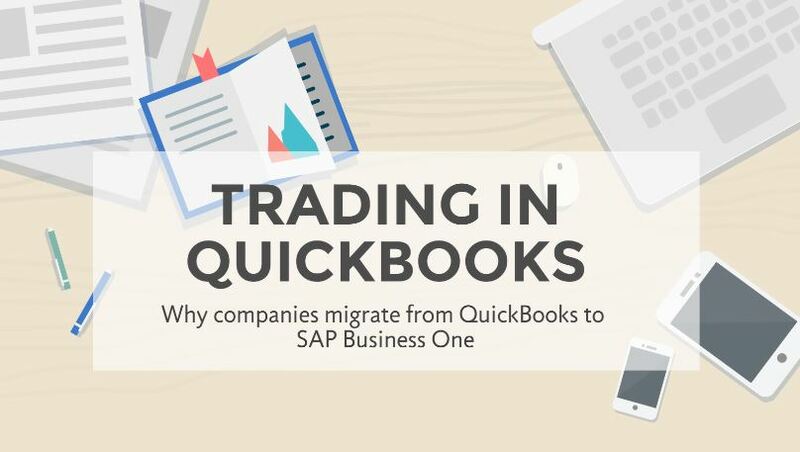 Companies of all industries and sizes are trading in QuickBooks for SAP Business One. These companies have identified it's time for a change and are typically experiencing profitable growth - but - they are still losing time, money, and resources due to lack of efficient processes and support. Check out the infographic below about the 3 main reasons for switching from a small business accounting software to an ERP solution. For more information about reasons to migrate to a business management solution, like SAP Business One, visit our website at www.vision33.com or contact us for a free assessment.